Download and view or listen to a clip from the DVD. To order the DVD video, email pastorjulie@doorofhopechurch.net. Length: 4 minutes, 27 seconds. xvid codec available&sp; HERE (link) . Polytheistic- embrace all gods- Masons do not want to offend anyone; however,they are monotheist and worship one god (GATOU). You only need to be a third degree Mason to be fully in- you are spiritually holding hands all the way to the top of the Masonic order. A false religion filled with secrets with oaths of mutilation and death if secrets are told. In the ritual of the Third or Master Mason Degree there is acted out the myth of Hiram Abiff. The Man being initiated portrays their false savior as he: dies, is buried, and is raised from the grave. These men meet in a closed door meeting and conduct rituals which teach their false plan of salvation. “It was the single object of all the ancient rites and mysteries practiced in the very bosom of pagan darkness… to teach the immorality of the Soul. This is still the great design of the third degree of Masonry. This is the scope and aim of its ritual. The Master Mason represents man, when youth, manhood, old age, and life itself have passed away as fleeting shadows, yet raised from the grave of iniquity, and quickened into another and better existence. By its legend and all it ritual, it is implied that we have been redeemed from the death of sin and the sepulcher of pollution… and the conclusion we arrive at is that youth, properly directed, leads us to the honorable and virtuous maturity, and that the life of man, regulated by morality, faith and justice, will be rewarded at its closing hour by the prospect of eternal bliss”. Jesus is a savior for Christians, while Hiram Abiff is a savior for Masons. “Then, finally my brethren, let us imitate our Grand Master, Hiram Abiff, in his virtuous conduct, his unfeigned piety to God, and his inflexible fidelity to his trust; that, like him, we may welcome the grim tyrant, Death, and receive him as a kind messenger sent by our Supreme Grand Master, to translate us from the imperfect to that all- perfect, glorious, and celestial Lodge above, where the Supreme Architect of the Universe presides”. 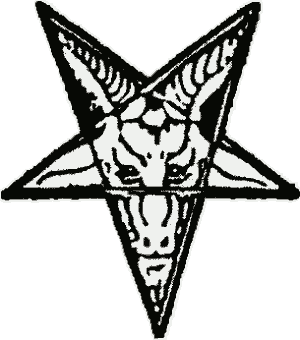 The Baphomet picture we have used is the work of French Freemason Eliphas Levi. Eliphas Levi is considered one of the Master occultists of all time and was just as educated when writing about Freemasonry as he was Black Magic. Levi had a profound influence on what is probably the most widely read Masonic book of all time by Masonic author, Albert Pike. Male Orders- Mason, Shiners, Oddfellows, Elks, Buffalo, Moose, Eagles, Woodmen of the World, De Molay, Order of Amaranth, Prince Hall Freemasonry, Knights of Columbus, Druids, Foresters, Mystic Order of Veiled Prophets, Ku Klux Klan, Fraternal College Orders, Skull and Bones (this is not an exhaustive list). Female Orders- Masonic Order for women, Order of the Eastern Star, Order of Amaranth, Daughters of the Eastern Start, Job’s Daughters, Rainbow Girls, International Association of Rebekah Assemblies. Mormonism- Masonic Oaths are found in Mormon Temple ceremonies- many Mormons claim that Freemasons must have stolen their ceremonies. Actually the opposite is true- Joseph Smith Jr., and his brother Hyrum were both Freemasons for some years. Speculation has it that Joseph Smith was murdered by Masons (Mormonism and Masonry, by Cecil McGavin). Mormon connection break all ungodly seals, endowments, ungodly baptism, ungodly anointing, ungodly priesthoods and familiar spirit of Joseph Smith, Albert Pike, Albert Mackey, and Hiram Abiff. There is a Principle strongman that must be broken called Angel Moroni, Antichrist, Unbelief, Error, False Doctrine, Confusion, Legalism, Guilt, Fear of Church Authorities, etc all must be bound and sent to Jesus. Freemasonry contends that all holy books of every religion should be on the same level. Freemasons also claim that all deities are merely a manifestation of the same God. Principle Oppression: death, fear, sexual perversion. We are all vessels, important for what we contain- eye gates, ear gates- darkness comes in to fog blacken, slime over, and block up. It brings emotional hardness and spiritual blindness. All reside within the soul to block off the spirit man. This dulls and blocks the spirit so that you can not connect with God. Messages to die are found everywhere, e.g. "Life is too hard, I want to die." "I am bad, I deserve to die. ", etc! Ushers in spiritual blindness, rebellion, silence, control, secrecy, dishonesty. Fear is highly prevalent in many layers. Sexual perversion takes on many forms. Diseases related- I see in a family line blood related diseases throughout all the family such as, aneurysm, strokes, diabetes, high blood pressure, heart attacks, mental problems. Blood is the enemy's goal because of the great importance of it in God's Kingdom-without blood there is no remission of sins, there is life in the blood. In the Satanic realm the blood is also important. If darkness can get into the bone marrow where the blood properties are formed then the enemy can attack the autoimmune system. Demons- In deliverance, you must deal with these: GAOTU (great architect of the universe), Balphomet, Jahbalon, Allah, Osiris, Isis, spiritual apathy, doubt, skepticism, unbelief, spirit of false religion, spirit of death, false light, anti- Christ spirit, secret words, secret handshakes, Witchcraft, phallus worship, sexual perversion, violence, insanity, murderous thoughts, self destruction, compulsive risk taking, anger at God, Luceferian Doctrine, self righteousness, death wishes, secrets and fear, etc! Familiar Spirits- In deliverance you must also deal with these familiar spirits: Hiram Abiff, Albert Pike, Albert Mackey, Joseph Smith, Abaddon, to name a few. Another familiar spirit is found when use the name of the family member(s) that have been involved with any order of Freemasonry, such as "the familiar spirit of uncle Tom." Break off blood oaths given in the person's name being ministered to. Jesus has come to set the captives free! 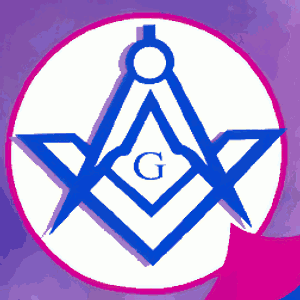 Remove all financial support to all Lodges, or institutions that Masons support. Reverse and undo the ungodly seals, endowments, baptism, rituals, anointing, priesthood, orders, and communions. Confess the sins of generation past. In dealing with the onslaught of demonic oppression found in Freemasonry one must know that everything associated with the Masonic genre is a demon. This includes rituals, everyday language, secret words, secret handshakes, naming of gods, naming of saviors, anything associated with the genre of Masonic should be broken. This should be broken over the individual associated with the Lodge or coming through the generational lineage. In actuality demons are what rule over this “elite, secretive” religion. This is not to glorify the demons or to give them power. “Greater is He (Jesus Christ) who is in us, then he (satan) who is in the world” (1 John 4:4). Jesus is greater then any demon, but the above is stated to show you the stronghold or the legal right that satan has gained through language (of vows perform), rituals, and secretive gestures. I have mapped out many people's generational tress where there is Freemasonry present. Thankfully there IS a good side to all of this. When I see this present in a family line I know there is a reason for it. You see there is a Creator God who gifts every individual, and all have a free will to choose how those will be used. Of course the Lord desires that we follow Him in using them to advance His kingdom. Unfortunately Satan also has a kingdom that he advances. To advance his kingdom Satan will hook onto a person's gifts and use them for his profit. When I see someone in a family line has Masonic, I know a bit about the gifts and anointings coming down the family line that the enemy grabbed. I see leadership gifts within the person plus ability in spiritual matters in the spirit realm. As we renounce the hidden works of darkness, confess our generational sin, repent and renounce allegiance to the Freemasonry cult, we can be free from all curses by the blood of the Lamb. If you have been in the Masonic in any way there will be much deliverance needed because the many ungodly vows and curses invoked on the individual. If this is in your family line, you also must do the same as a representative of your family. REMEMBER- God loves those involved with Freemasonry. His desire is to rescue them from evil. We are not to fear them, but treat them in love and pray for them. a clip from the DVD. xvid codec available HERE (link).